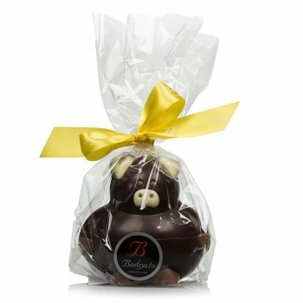 This Easter, treat yourself to a Chubby Milk Chocolate Pig from Bodrato. 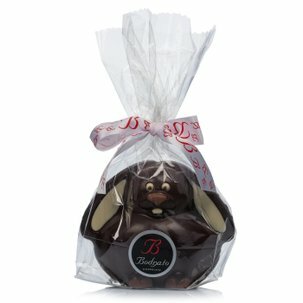 Make someone you love really happy with this charming gift: a little grandson, or a special visitor. 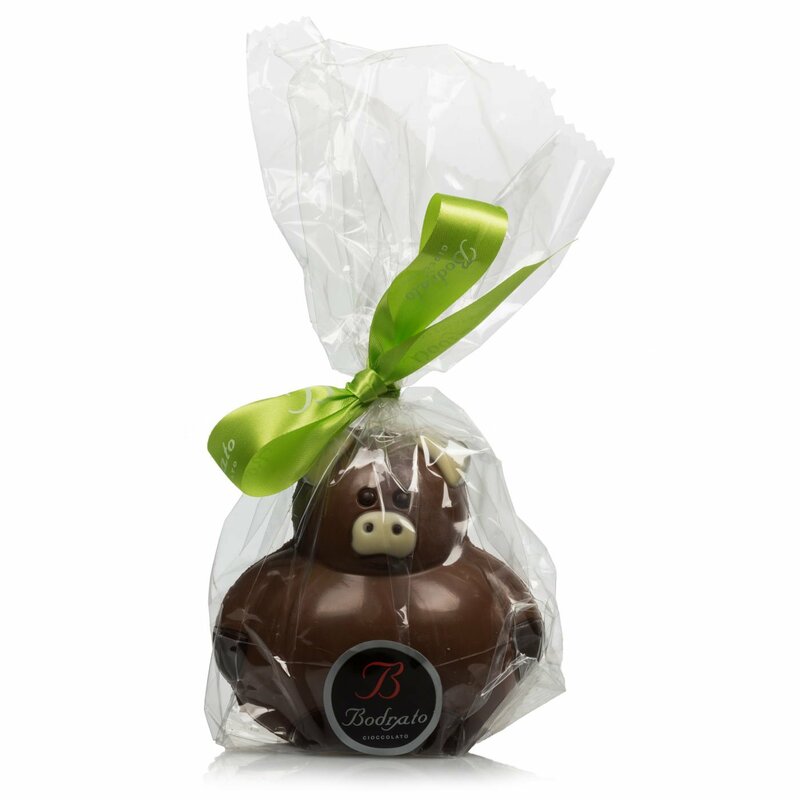 Pasticceria Bodrato uses all the expertise of the specialist Piedmontese chocolatiers in making this product. 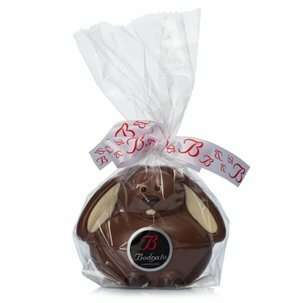 It has an unmistakable flavour, with the sweetness of milk chocolate that young children will enjoy. This special little chocolate pig is sure to delight both young and old. Ingredients Milk chocolate (min. 32% cocoa solids), sugar, cocoa butter, whole milk powder, cocoa paste, emulsifier: soy lecithin, natural vanilla flavouring. Decoration: Dark chocolate (min. 60% cocoa solids), cocoa paste, sugar, cocoa butter, emulsifier: soy lecithin, natural vanilla flavouring. White chocolate (min. 29.5% cocoa solids), sugar, cocoa butter, whole milk powder, emulsifier: soy lecithin, natural vanilla flavouring. For more information on product labels, please contact our Customer Service department. The information on the labels of the products may vary for reasons beyond our control, therefore, there may be discrepancies between the information on the site and that on the products delivered. Please always check the information on the product before consumption or use.